If you are in the market for either purchasing or selling a home with an Private Sewer System there are a few things that you need to know. Even though the state of Minnesota does not require a Septic Inspection prior to transfer of property, there’s a good chance that you will end up needing one anyway. 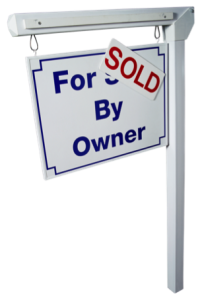 Many real estate agents encourage a Septic Compliance Inspection for home buyers and sellers. Many mortgage lenders require a Certificate of Compliance as a condition of the loan. So, you may ask: What is a Septic Compliance Inspection? Who do I call for Septic Inspection in Ramsey MN? Answer: Ask CSI Custom Septic, Inc.
Ramsey MN has approximately 4100 Active Septic Systems. Each property owner is obligated to make sure that it is operating correctly and in compliance with city ordinance, MPCA regulations and Met Council policies. A Septic Inspection is required every 3 years as a way to track Individual Sewage Treatment Systems (ISTS). MPCA Licensed Septic Inspectors are authorized to provide Septic Compliance Inspections for Ramsey homeowners. Minnesota law requires a written disclosure of the way sewage treatment is managed for the property before Property Transfer. The seller must declare whether the sewage is managed through a sewage treatment facility or an Individual Sewage Treatment System (ISTS). The Sewer System Disclosure describes the location and condition of the existing system. It does not state whether the system is operating according to the law. This type of inspection is known as a Septic Compliance Inspection. What is a Septic Compliance Inspection? Since a failed septic system is a public health risk that can cause a large amount of contamination, Septic Compliance Inspections are conducted to ensure that each system is operating according to state and local rules. Unknowingly purchasing a home with a poorly operating septic system can be an expensive liability. This is why many mortgage lenders would want to see a Certificate of Compliance before granting the loan. MPCA Licensed Septic Inspectors examine several parts of an ISTS to make sure that it is legal. If your septic system passes the Septic Compliance Inspection you will be given a Certificate of Compliance (COC). If it fails to pass inspection you would receive a Notice of Non-Compliance (NON). Receiving a NON means that your septic system needs to be upgraded or replaced within a specified amount of time. As a MPCA Licensed Septic Inspector, CSI Custom Septic, Inc. provides Septic Compliance Inspections for property transfers and as part of a sewage monitoring system for the city of Ramsey MN. Our highly trained inspectors understand the importance of limiting sewage contamination of water and soil. In Ramsey MN, contact CSI Custom Septic, Inc. for a certified Septic Compliance Inspection by calling: (763) 218-4769.